This is a disorder which is caused by the narrowing of spinal canal. The spinal canal is the passage of nerves. It runs down the center of the back. The spinal stenosis is triggered from accumulating increased pressure which is placed on the spinal cord and the nerves within the back it commonly causes sciatica, back pain and other nerve problems. 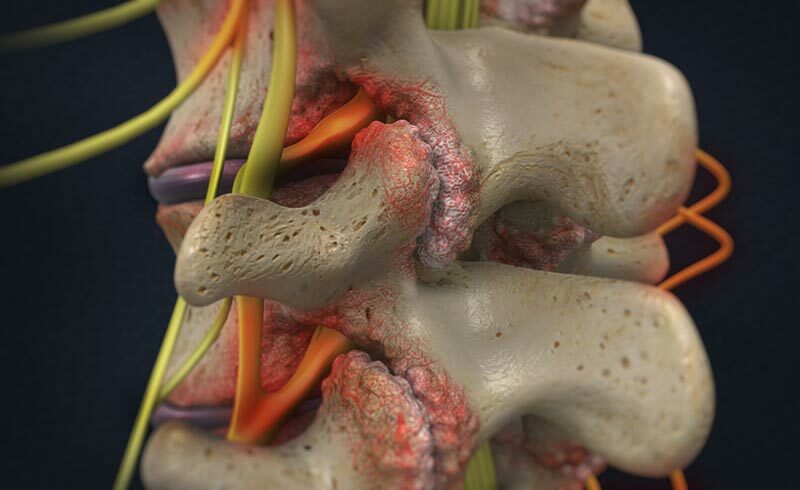 The most people develop the spinal stenosis which manifest in their necks and lower backs (lumbar region) but others experience no noticeable symptoms at all. Also it is possible to suffer from problems which are related to bowel or bladder control due to spinal stenosis which is caused by nerve damage that is connected to the lower body. 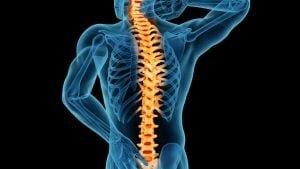 Some of the most common causes which contribute to spinal stenosis or happen at the same time include genetic diseases that affect the bones of the back (such as Paget’s disease), spinal injuries or tumors, sciatic nerve pain, rheumatoid arthritis and osteoarthritis/degenerative joint disease. This condition can affect different parts of the spine. When the stenosis is in the neck, then it is called cervical stenosis  while stenosis in the lower back is called lumbar stenosis . There is a third type of stenosis known as thoracic stenosis which is rare and it is affecting the middle/upper portion of the spine. You need to talk with your doctor if you suffer from spinal stenosis about the best natural treatment for you. Massage: When you are massaging painful areas, then it can help to relax the muscles, increase the blood flow, loosen up tight tissue and even increase the production of endorphins which can ease the pain. But before you begin massage therapy treatment you need to talk with your doctor if you are not sure about the severity of your condition. Chiropractic treatment: Chiropractors can manipulate your spine in order to create greater space between the vertebrae and it can reduce the pressure on the nerves. Try physical therapy: Your doctor will tell you about your movement and activity. After they are cleared, you should visit a physical therapist because this can help to improve healing and speed up recovery. The physical therapist can help you safely start practicing specific posture – improving exercises which can strengthen your back, core and upper legs. There are some cases when special machinery or equipment is used to perform abdominal exercises which can help to take the pressure off the spine. Physical therapists can teach their patients how to improve their posture and to recommend tips for using more support pillows, pads, mattresses, chairs, shoes, etc. After some time has passed,it is possible for patients to safely transition exercising on their own. Maintain normal weight: It is very important to lose extra weight because this can help you to get a relief of the symptoms but also it can slow the progression of spinal stenosis. When you have normal weight, then it can help you to move easier. Hot shower or hot bath: You should try taking hot shower or hot bath because this is a very effective natural way that can help to dull pain. You should add Epsom salt to a hot bath, along with soothing essential oils, such as lavender oil or peppermint oil, to further penetrate and relax the inflamed area. Heating pad: As long as your painful area is not red or inflamed, you can try using a heating pad on low or medium for fifteen to twenty minutes several times per day. You should wrap it around your lower back while you sit down or laying down with the pad placed on your back. Application of heat or ice: When you are applying heat or ice, then this can help naturally dull the pain and control the inflammation. You should ice the swollen area during the first 72 hours of pain following a triggering episode can help to curb the swelling. You should try using ice packs two times per day for about fifteen minutes at a time. Do not smoke: If you are smoker, then you should quit smoking as soon as possible. It is known that the smoking cause spinal discs to wear/degenerate faster. Meyer F, Börm W, Thomé C. Degenerative cervical spinal stenosis: Current strategies in diagnosis and treatment. Deutsches Arzteblatt International. 2008;105(20):366-372. Anderson DB, Ferreira ML, Harris IA, et al. Success, surgery for spinal stenosis: protocol of a randomised, placebo-controlled trial. BMJ Open. 2018;9(2). Beuth J. Proteolytic enzyme therapy in evidence-based complementary oncology: fact or fiction? Integrative Cancer Therapies. 2008;7(4):311-6. Sawyer AM, Warren GL, Martinez SK. Impact of yoga on low back pain and function: A systematic review and meta-analysis. Yoga & Physical Therapy. 2012;2(4). Liang Y-D, Li Y, Zhao J, et al. Study of acupuncture for low back pain in recent 20 years: a bibliometric analysis via CiteSpace. Journal of Pain Research. 2017;10:951-964. Dernek B, Adiyeke L, Duymus TM, et al. Efficacy of trigger point injections in patients with lumbar disc hernia without indication for surgery. Asian Spine Journal. 2018;12(2):232-237. Kim K-s, Byun M-k, Lee W-h, et al. Effects of breathing maneuver and sitting posture on muscle activity in inspiratory accessory muscles in patients with chronic obstructive pulmonary disease. Multidisciplinary Respiratory Medicine. 2012;7(1):9.